Sacred and Profane Artistic Director and Conductor Rebecca Petra Naomi Seeman is a Bay Area native. She is on the faculty in the Performing Arts and Social Justice Department at the University of San Francisco, where she conducts the Classical Choral Ensembles and teaches private voice as well as courses in music history and music theory. She has served as the director of the Chancel Choir at Saint Ignatius Church in San Francisco and has been a member of the faculty at the University of California, Santa Cruz, in addition to previous academic, synagogue, and church choral positions in Santa Cruz and Iowa City. 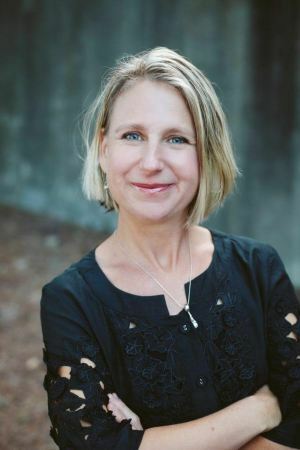 A strong proponent of Swedish choral music, Rebecca has written extensively on Swedish music for women’s choir and the music of contemporary Swedish composer Karin Rehnqvist. Her conducting teachers have included Nicole Paiement, Timothy Stalter, and William Hatcher, and Eric Ericson. She holds a BA in Voice and an MA in Performance Practice and Conducting from the University of California, Santa Cruz, and a Doctor of Musical Arts in Choral Conducting and Pedagogy from the University of Iowa. In addition to her work with classical music, Rebecca is co-producer of a documentary film about folk music impresario Izzy Young, currently in production. She performs regularly with her wineglass organ.